Was a pleasure to grow this, due to space limitations I had to keep her as small as possible. She was in a half gallon pot and got constant LST from 11 days in. had to relocate her and she had a 2 days/nights of natural light out in the cold which she took it fairly well. went 95 days making it the longest auto i've done but I think thats on me due to conditions and the move I'm not sure. 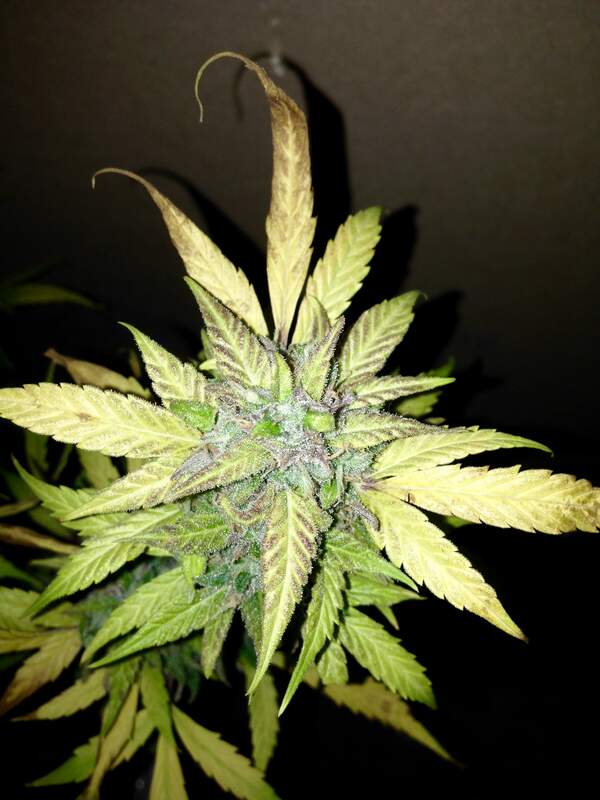 Her last 4 weeks were under a 600w HPS, cold nights really brought out some nice purple in her. Definitely going to grow this strain again in a fair size pot now I don't have any space limitations. grow space is listed as what I had her in up until the last 4 weeks when moved and switching lights. Nice harvest and your certainly have some nice jar appeal to those buds. Best wishes on the cure and tasty smoke. Congratulations!! Looks great! Great pics! @AlgarveParadise, ya tá boa ! Foi mesmo até ao fim da linha! !